"A free, open sourced toolbox that has support for a number of algorithms." Shogun is a free, open sourced toolbox that has been written in C++. Shogun offers you a ton of algorithms and data structures for machine learning problems. Shogun is free, but it is also licensed under the terms of the GNU General Public License (GPL). There are many other types of toolboxes similar to Shogun. With a lot of other competitors this leaves open a lot of opportunity for areas the others haven't covered. Shogun is, by far, covered most of the areas the others do not. The focus of Shogun is on kernel machines. These machines include support for regression and classification problems. 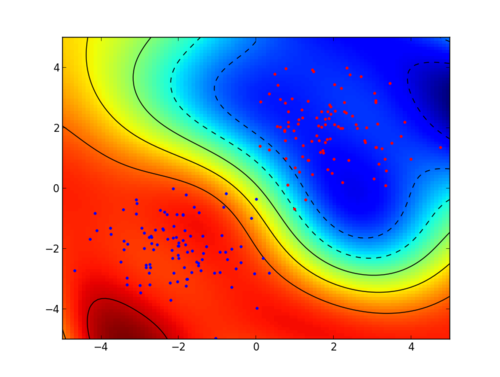 This toolbox also offers a full implementation of Hidden Markov Models. It is written in C++ and offers individual interfaces for MATLAB, Octave, Python, R, Lua, C#, and Ruby. It has been under consistent development since 1999. Shogun has a large and active community that is based throughout the world using the toolbox as a base for their education and research. Shogun has support for a number of algorithms. These algorithms include support vector machines, online learning algorithms, clustering algorithms, kernel perceptrons, Hidden Markov, Models, and a lot more. Having one of the best support for algorithms than another other toolbox available, being open sourced, and being under active development for years, Shogun is never done giving more.